The Hollow at Willow Lakes is a new home community in the heart of Hinckley, located 2 miles south of the intersection of Center Road (Rt 303) and West 130th Street. Residents of this 47-acre community will enjoy more than just the breathtaking views, they will have access to top-notch Highland Local Schools and convenience to shopping, dining and events in Cleveland, Medina and Fairlawn/Montrose. With 2-acre homesites and city water, The Hollow at Willow Lakes is an almost rural escape from city life, yet it's close to excellent schools and connected to the city. 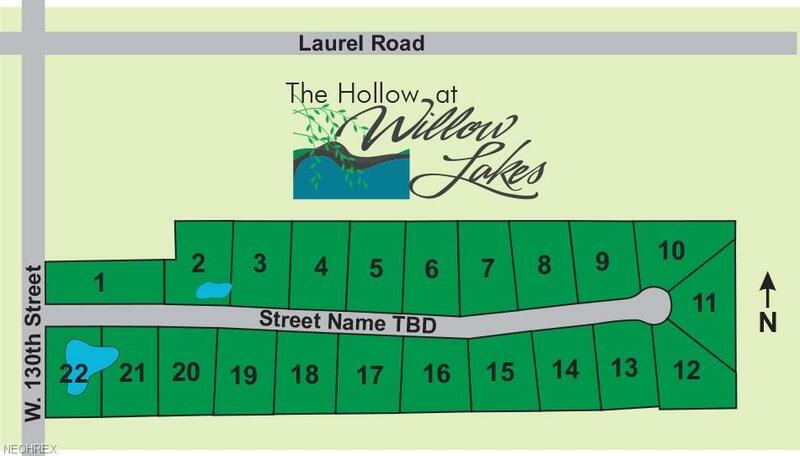 The Hollow at Willow Lakes offers a truly rare opportunity to build the new home of your dreams. Legacy-Carrington Builders will be building on the 22 homesites and feature beautiful home designs built with the superior quality and trendsetting style that people in Northeast Ohio have come to love. Call to reserve your lot today.